Alemac holds a strong reputation in the switch market. They wished to develop a website that would add to their brand personality and open the doors to new business avenues. 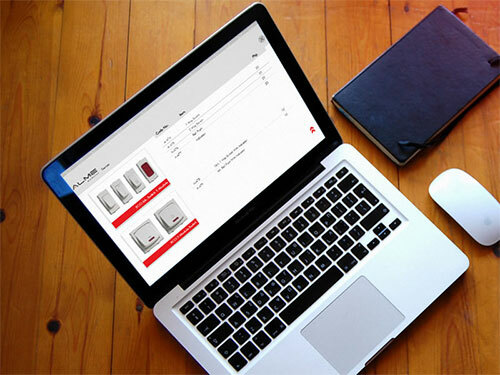 WITS Interactive developed a fluid website that was responsive in nature, designed to show case their product portfolio. The elegant richness of the product was bought out by displaying different switches on distinct colour walls. In keeping with Alemac's guidelines, WITS Interactive designed the webpage emphasising on their quality accreditation of being an 'ISO 9001: 2008 certified company'. To further create an impact we incorporated an audio/video show reel to showcase their process of electrical excellence. The final output was created with an impression of 'maximum information with minimum clicks'. The aim was to establish an online presence, develop an easy access for their clients and build a connect with them! An online presence created for them using Fluid Website technology, combined with our classic design, ensured them the right exposure and opened doors for unexplored business opportunities.